Location: Johnson Space Center, Houston, Texas. Don Pettit (b. 1955), a native of Silverton, attended OSU from 1973-1978, graduating with a bachelor's degree in Chemical Engineering. After completing his Ph.D. at the University of Arizona, Pettit began work at the National Laboratory in Los Alamos, New Mexico. In 1996 he was selected to become a NASA astronaut and, in 2002, he participated in his first spaceflight, Expedition 6, during which he spent over five months on the International Space Station. 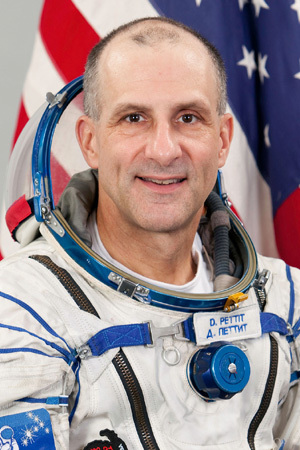 While at NASA, Pettit has logged more than a year in space, during which time he has filmed and televised experiments from space for a series titled "Saturday Morning Science." His interview focuses on his upbringing in Oregon, his undergraduate experience at OSU, and highlights from his career as an astronaut.